Associative Thinking – a key brainstorming tool for many years. Now, software speeds the process of idea generation for creative professionals – alone or as part of a group. 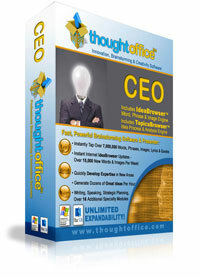 ThoughtOffice innovation software directly accesses key Internet-based resources, while helping creative partners connect and collaborate. emotionr.com, the new kid on the block! A microblogging service powered by Zallas (a Chicago-based software development company) that lets its users record, track and share their feelings with the rest of the world. 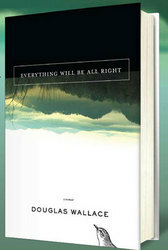 Douglas Wallace, an attorney, a successful entrepreneur, and author of the new book, Everything Will Be All Right, is launching his memoir on October 1, 2009. His story is about a child determined to free himself from the cycle of poverty that had strangled his family for generations. Wallace did escape the cycle of poverty and built a fifty million dollar company, which he sold in 1999. He wrote his personal story an an inspiration to parents. He is also hopeful that his story will inspire teens who, like the author,were born into impoverished families. Trainwreck Apparel hosts the summer’s hottest after party at the Unix Mansion in Laguna Beach. Sparks college students’ interest in healthcare software. 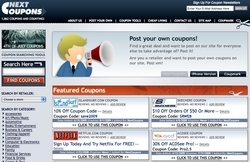 Online coupon provider NextCoupons.com now gives the power to shoppers and retailers to post and share their own coupons. This gives retailers direct access to the sites visiting deal hunters, while providing shoppers a social networking type platform to spread valuable coupons amongst the masses.